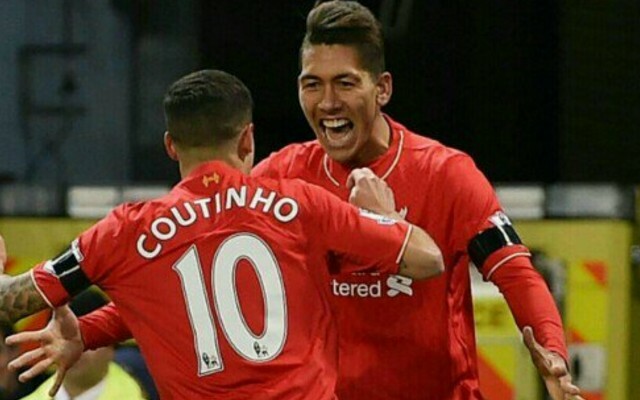 We’d rather have Coutinho and Roberto Firmino than a 29-year-old Dimitri Payet, all day long. But the Daily Mail reckon West Ham’s Frenchman is better, probably because of his free-kicks. They’ve put together a list of the 100 best players on the planet today, and released numbers 60-41 today. Firmino comes in at 54, one place below Raheem Sterling, while Coutinho is in at 44, sandwiched between Harry Kane and Payet. Unfortunately we cannot see the full list yet, which will be unveiled throughout the week, so imagine there’ll be plenty more debate to be had around the topic. The likes of Wayne Rooney, Dele Alli and Anthony Martial are down in the 60s and 70s, while we assume the top 30 is made up of Real Madrid, Barcelona and Bayern Munich players – predominantly. With this being said, we guess 44th isn’t bad for Coutinho, who now starts for Brazil. In the future though we’re backing him to be considered as one of the world’s very best, of course. In reality, it doesn’t matter where they’re positioned in opinion charts – it’s what they contribute on the field for Jurgen Klopp’s side that matters. And so far this season, both are doing just great.